Grupa IDEX Corp. ver. Ang. 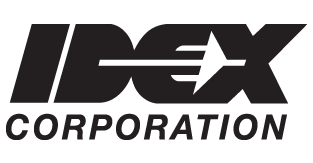 IDEX is an applied solutions provider serving niche markets worldwide. Our served markets include process industry and infrastructurerelated applications, life science and medical technologies, industrial and municipal fire and rescue, and equipment associated with the retail dispensing of architectural paints and coatings. From leak detection within water infrastructure to enabling the push towards personalized medicine, IDEX is a leader in creating enabling - Technologia, improving business prospects for a diverse customer set across the globe. The mission of IDEXâ€™s global Dispensing business is providing our customers a highly accurate, repeatable precision dispense of any color or flavor, anywhere in the world. We are recognized the world over as the leader in wholesale and retail point-of-sale blending and tinting of paints and coatings. Our technologies are also being applied to solve real-time, made-to-order at point-of-sale needs, enabling the food and beverage industry to economically and efficiently expand and personalize their offerings to consumers. Our formula for success is based on our ability to develop the right solutions for our customers, encompassing complex formulations, increasingly precise and reliable custom dispensing - Technologia, and an ability to gather valuable point-of-sale transactional data ? all supported by 24/7 customer service and support. Addressing the worldwide need for safety and preparedness, the IDEX Fire & Safety/Diversified Products business provides life-saving solutions ? like our Jaws of LifeÂ® rescue tools family and firefighting pumps and compressed air foam systems ? to meet the mission critical needs of fire, rescue, disaster teams and other first responders. We also produce engineered band clamping systems used worldwide in industrial and commercial markets ? from holding up traffic signals and road signs to sub-sea/marine applications that support the global energy and exploration markets. Flow monitoring hardware, software, and services for wastewater collections, treatment systems, hydro-electric, and other open and closed channel applications including ultrasonic Doppler - Technologia, transit-time, and cross correlation. Water distribution services including leak detection, large średnica leak detection, water audits, district measurements, valve maintenance, asset assessment, and non-revenue water recovery. Line stopping, line tapping, and valve insertion equipment and contract services for under pressure installations without system shutdown. Designs, develops, and manufactures liquid subassemblies and precision components for a wide range of applications requiring precise control and measurement. Specializing in component integration that results in innovative and optimized OEM fluidic systems, IDEX Health & Science is the synthesis of leading component and - Technologia suppliers to the Analytical Instrument, In Vitro Diagnostics, and Bio- Technologia markets. Product range includes: Eastern Plastics manifolds and precision plastic parts; Innovadyne automated liquid handling systems; Ismatec peristaltic pumps and advanced microprocessor controllers and drives; Isolation Technologies column hardware; Rheodyne fluidic valves; Sapphire Engineering precision dispense pumps and HPLC components; Systec degassers/debubblers; and Upchurch Scientific tubing, fittings, and customized assemblies. ATFilms specializes in the most advanced coating - Technologia available, ion beam sputtering (IBS), mastering the deposition of precise, dense, and durable films. Gast Manufacturing, Inc. designs and manufactures quality air-moving products - vacuum pumps, compressors, air motors, gear motors, vacuum generators, regenerative blowers and Smart Air - Technologia - to meet the many challenging applications of OEMs and end-users worldwide. But much of our success can be attributed to the foresight of our founders, the dedication of several generations of employees, and an unwavering commitment to our customers. High precision, high performance pumps, injection valves, connective tubing, fittings, check valves, degassing systems, liquid-end assemblies, and flow cells used in configurations customized to the specifications of analytical, clinical diagnostics and bio- Technologia instrument manufacturers. High purity pumps, mixers, and deionized water heaters used in the semiconductor industry. Miniature, precision-engineered pump technologies, and vacuum pumps, compressors, air motors, blowers and other clean, quiet compressed-air solutions for medical, dental, environmental, food and beverage, agricultural, industrial, and a wide range of other end-market applications. Micropump Inc. is the originator of magnetic drive gear pump - Technologia. Today, Micropump is the market leader in low-flow gear pumps offering standard models, configure-to-order options, and custom solutions. Specializing in OEM and industrial pump applications where precise fluid control is required, Micropump combines state-of-the-art manufacturing with unparalleled engineering expertise to meet its customersâ€™ ever-changing fluid handling needs. The leading provider of optical filters for biotech and analytical instrumentation in the life sciences markets. Semrockâ€™s products are used in the bio- Technologia and analytical instrumentation industries. Semrock produces optical filters using state-of-the-art manufacturing processes which enable them to offer significant improvements in the performance and reliability of their customersâ€™ instruments.